Severe or complex injuries to nerves and blood vessels or the soft tissue in your hand require specialized care to repair the damage. Robert K. Kwon, MD, is a double board-certified hand surgeon offering microsurgery and hand reconstructive surgery at Southwest Hand and Microsurgery in Plano, Texas. To find the best treatment for your hand condition, call Southwest Hand and Microsurgery or schedule an appointment online today. In addition to general hand reconstructive surgical techniques, Dr. Kwon offers complex procedures like thumb transplants and toe-to-thumb transplants. He also provides advanced hand and wrist surgical techniques including microsurgery. Microsurgery focuses on treating tiny blood vessels and nerves using a microscope to avoid damaging surrounding tissue. When used on the hands, Dr. Kwon magnifies the treatment site to reconnect veins, arteries, and other connective tissue to restore blood flow and keep the limb alive. For complex wound treatment or open areas of skin, Dr. Kwon uses microsurgery to close them with a tissue transfer. This complex procedure involves transferring healthy tissue from your body or a donor to your wound and then attaching it to your body’s blood supply. Microsurgery allows Dr. Kown to repair blood vessels and nerves as small as 1 millimeter wide. What can I expect after hand reconstructive surgery? Dr. Kwon performs hand reconstructive surgery and microsurgery in a hospital setting. After your surgery, a nurse checks your surgical site hourly for 24 to 48 hours for adequate blood flow. If no complications develop, this observation period moves to every two hours for several more days. Depending on your hand procedure, you may need bed rest for up to a week to promote healing and minimize swelling. During your recovery, your hand is immobilized and elevated over your heart. 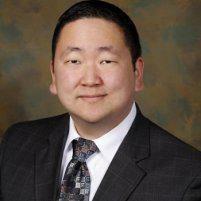 Dr. Kwon also works closely with you to outline which activities are safe while you heal. An additional aspect of your recovery includes working with a certified hand therapist to build strength and regain hand function. To learn more about hand reconstructive surgery, call Southwest Hand and Microsurgery or schedule an appointment online today.